As the world changes, so do people's expectations of their faith community and clergy. 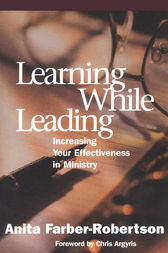 This book uses three case studies to speak to religious professionals about the challenges they face, to provide readers with specific, user-friendly techniques to become more aware of how they function, and to learn new ways to lead. Clergy will find real-life examples of how more effective leadership enhances the life of the community and promotes the deepening of members' faith.